“We all have stories to tell. These are mine.” -Drew Barrymore. Born into Hollywood royalty as John Barrymore’s granddaughter, Drew Barrymore gained early fame in Steven Spielberg’s movie, E.T. as an adorable six year old named Gertie. Later in her life, Drew became very successful as a producer, actress, author, director, model, and mother. From starting work at age one, to becoming a legal adult at age fourteen, to marrying Will Kopelman and having two beautiful girls, named Olive and Frankie. 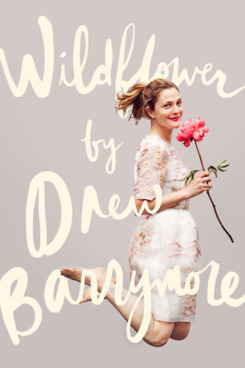 Drew Barrymore has been through a lot in her lifetime and the book Wildflower tells the truthful story of her life. Wildflower tells all about the adventures of Drew. Due to the colorful language that Drew chose to express her feelings about life, I would recommend this book to young adults. Drew goes through many ups in her life, but many downs as well. As the story progresses, Drew brings you in and causes you to feel her joy, and her pain. Because this is written about Drew Barrymore by Drew, it is an autobiography and nonfiction. Wildflower is an honest depiction of how Drew Barrymore came to be the wonderful actress many have come to love and respect.